There’s nothing like the taste of freshly juiced fruit or vegetables to wake up your senses, and for centuries we’ve known about the health-giving properties of this easily accessible food source. 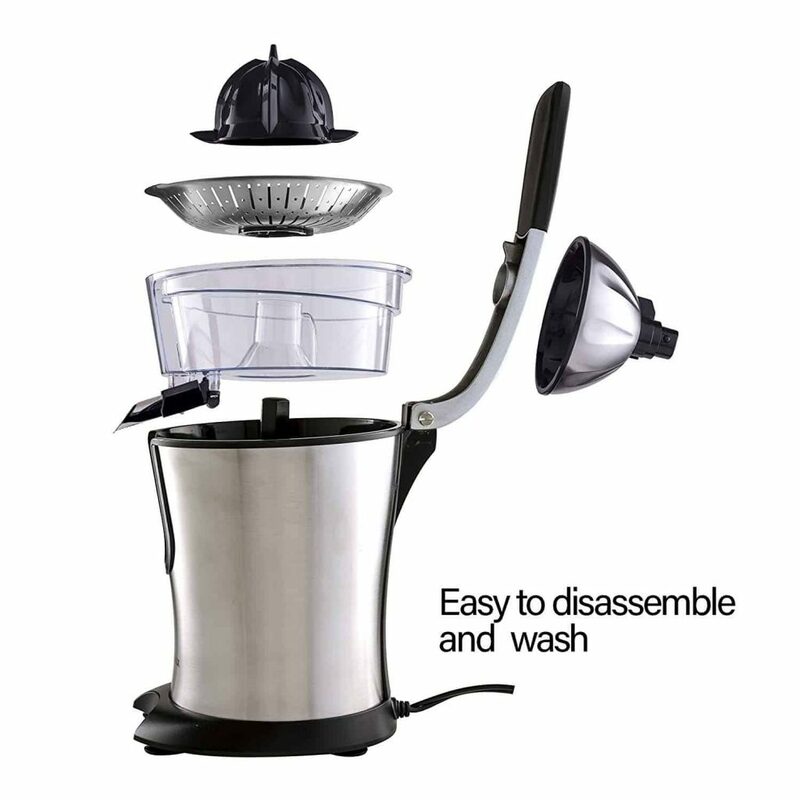 Juicers come in all shapes and sizes and use different methods to extract the juice from fruit and vegetables. But, it pays to know exactly what you need to get the best juice, and which features really will make your life easier. 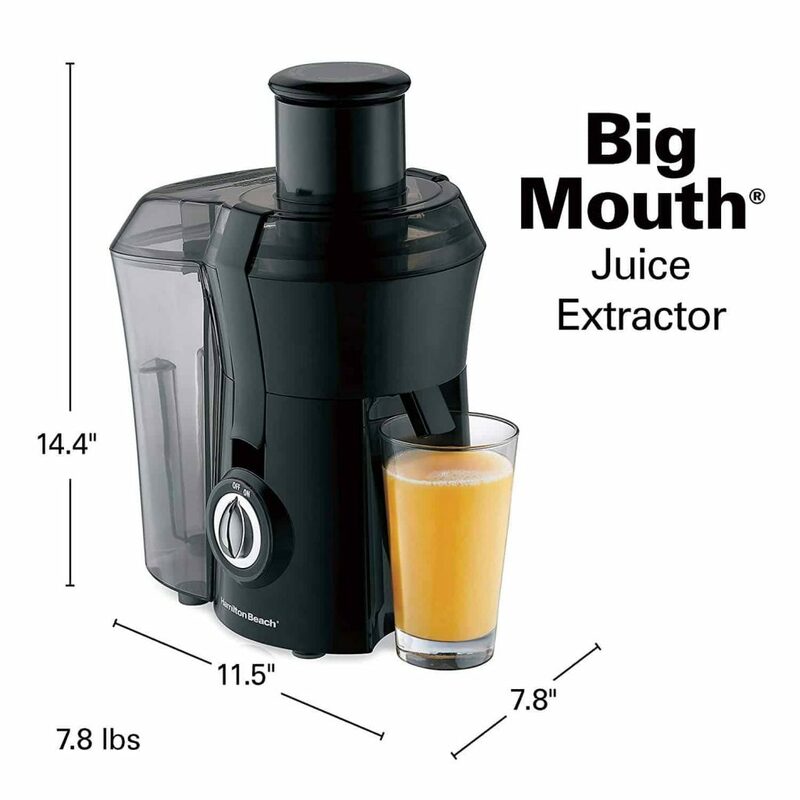 What do I want from a juicer? If you want to enjoy health benefits from juicing, in our busy world keeping it simple is the best route. 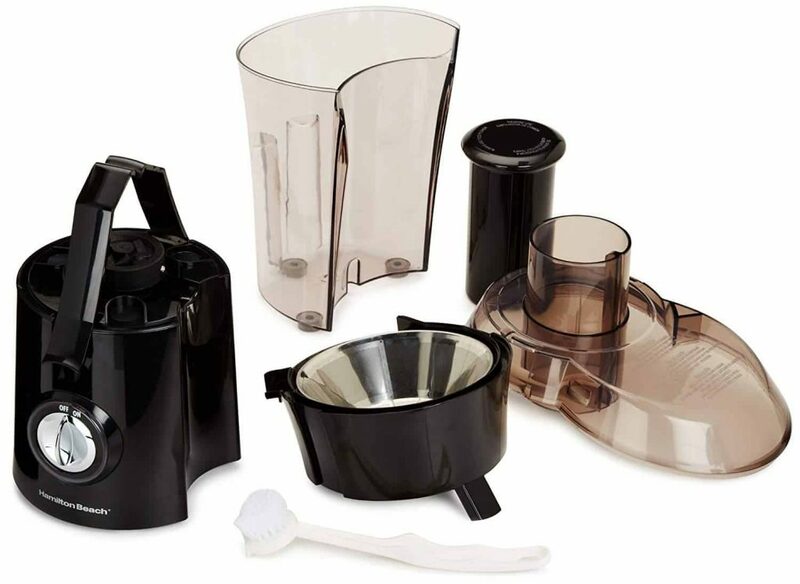 If your juicer has only a few parts and is easy to use and clean, you’ll be motivated to use it more often. 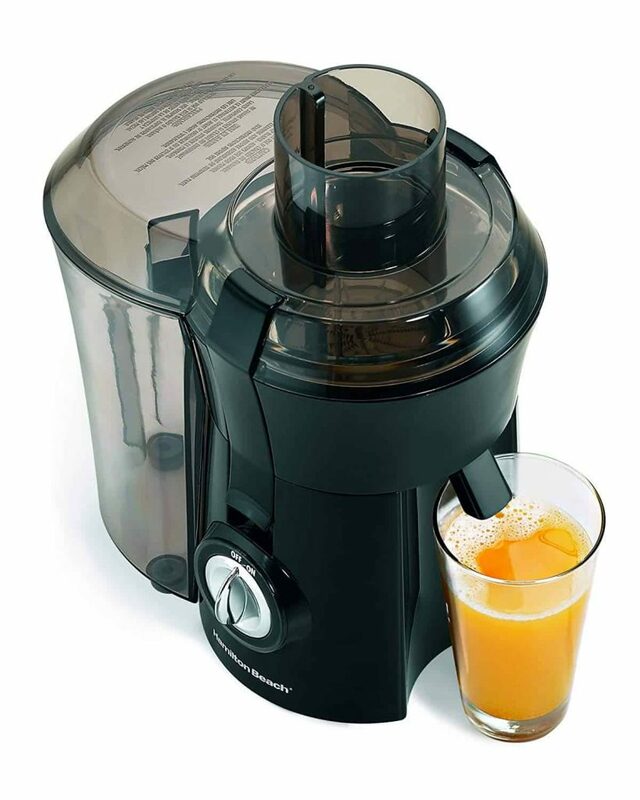 Keeping the juicing machine on the countertop and accessible is also essential to simplicity. A sleek, upright centrifugal machine takes up the least amount of space and is incredibly fast. 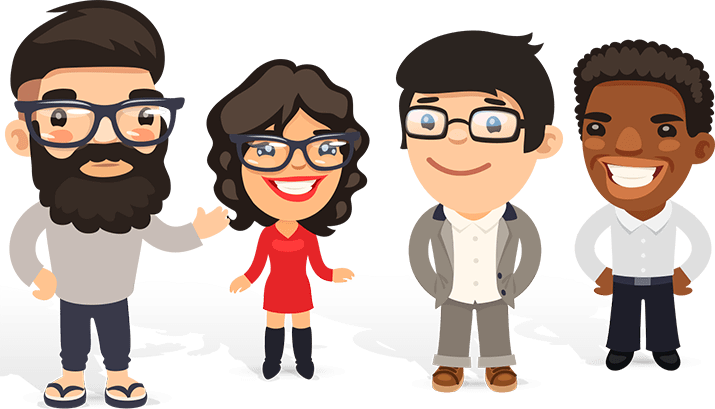 Also, try to think about what percentage of each of the following you plan to juice – soft or citrus fruits, harder fruits, vegetables and leafy greens. If you plan to juice grasses and extract the most nutrients, then a masticating machine is a good choice. 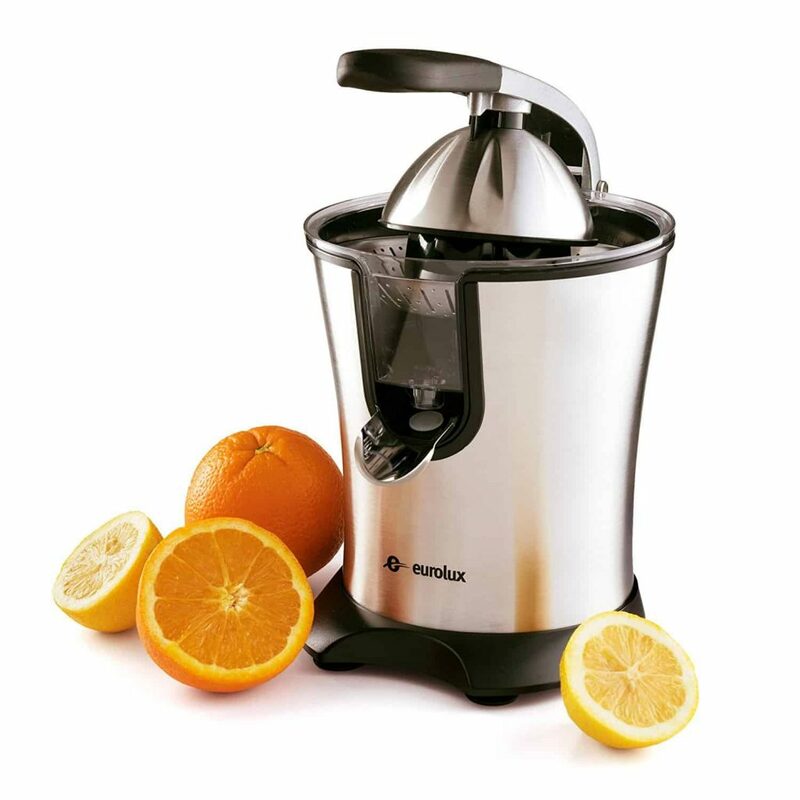 This is the most common type of juicer, and utilizes a rapid spinning metal blade, and a mesh filter to separate the juice from the flesh via centrifugal force. It then separates the juice from the pulp and places each into different containers. Unfortunately, the heat produced by the centrifugal force can destroy some of the nutrients and enzymes in the fruits and vegetables. Many come with variable speeds, and the slower the speed, the more juice is extracted. 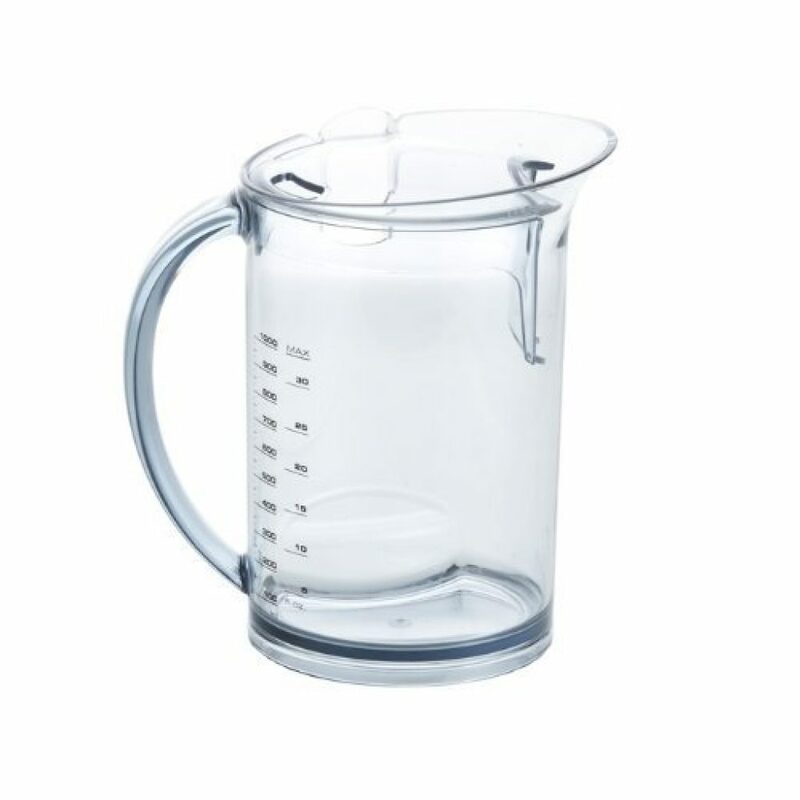 A centrifugal juicer works well for all types of fruit, and but is less suitable for green, leafy vegetables; however, they are generally cheaper than a masticating juicer. These work by crushing and then pressing the fruit or vegetables to extract the highest juice yield. Because they don’t produce heat, the nutrients and enzymes remain intact. They are slower than a centrifugal juicer, but much quieter. 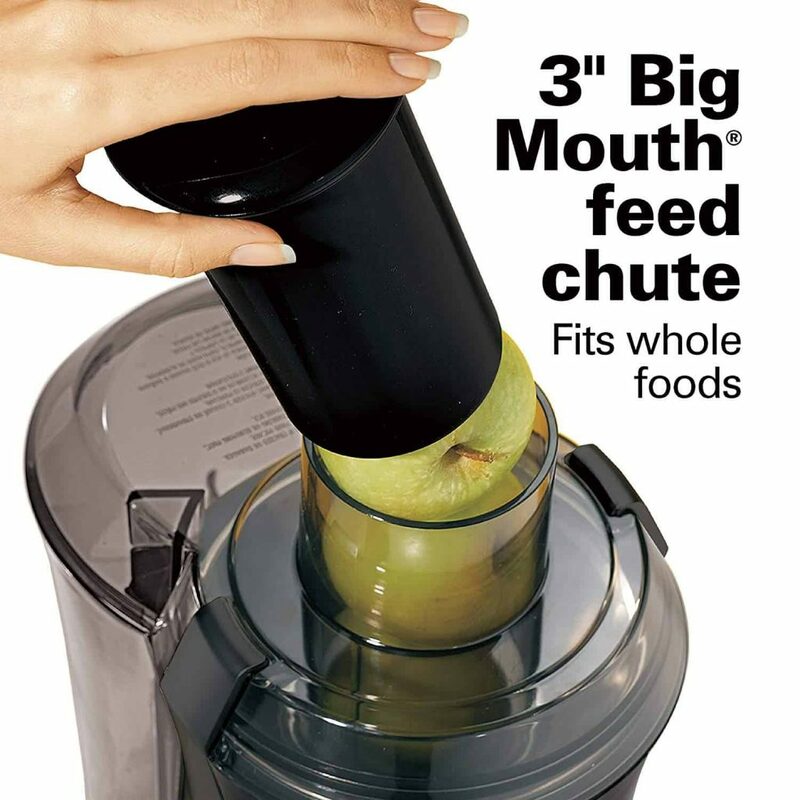 With some machines, the feed tube can be quite small, and the fruit needs to be chopped before feeding it in, so if you plan to juice apples and larger fruit, look for one with a large feed tube. 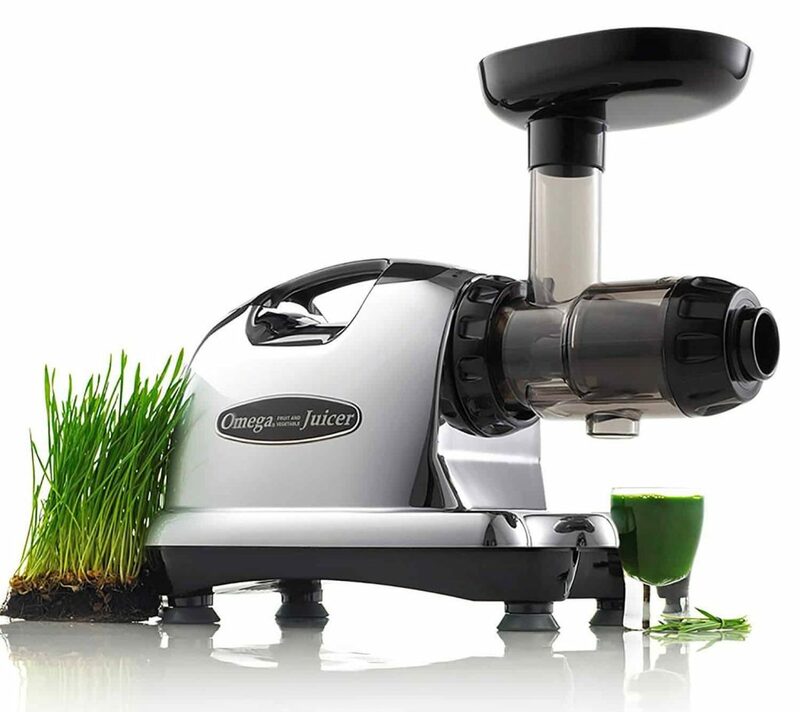 These juicers are great for grasses and green leafy vegetables, as well as all types of fruit. They can make delicious nut milks, such as almond or cashew, grind coffee beans, and spices, and even be used to make ice cream. If this is the sort of versatility you want from a juicer, then although more expensive, the extra dollars may be worth it. 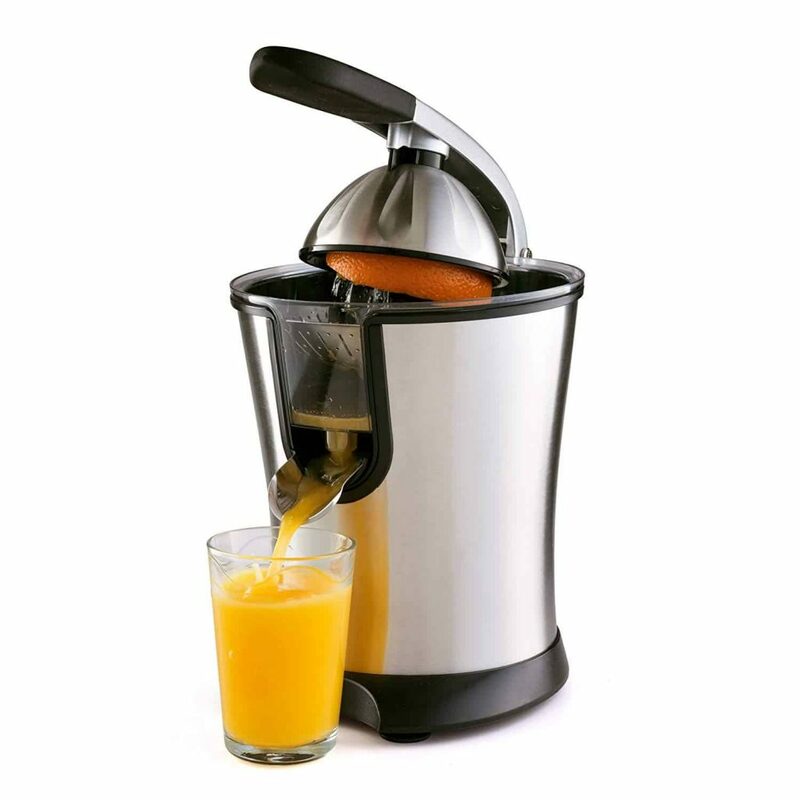 This sleek polished chrome juicer looks great in any kitchen. It’s compact, powerful and having a large feed tube, can take even the largest fruit. It has minimal parts to assemble, which makes for easy, quick cleaning, and the recipe book is a nice addition. Using this is simplicity itself – it’s quick, efficient and very quiet. Due to its unique ‘final spin’ feature, it extracts absolutely everything from the fruit, leaving the rind completely bare, and even strains out the seeds. It doesn’t drip, does its job well and provided us with delicious juice for breakfast. 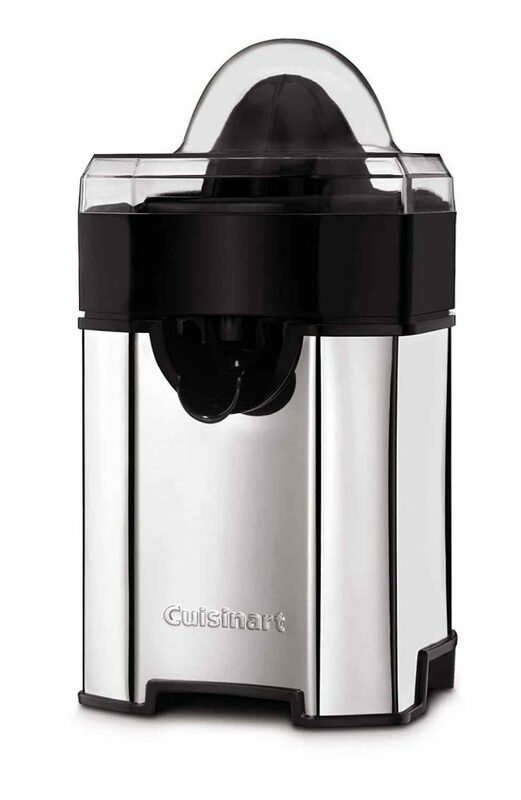 We couldn’t find anything to improve on with this Cuisinart juicer. 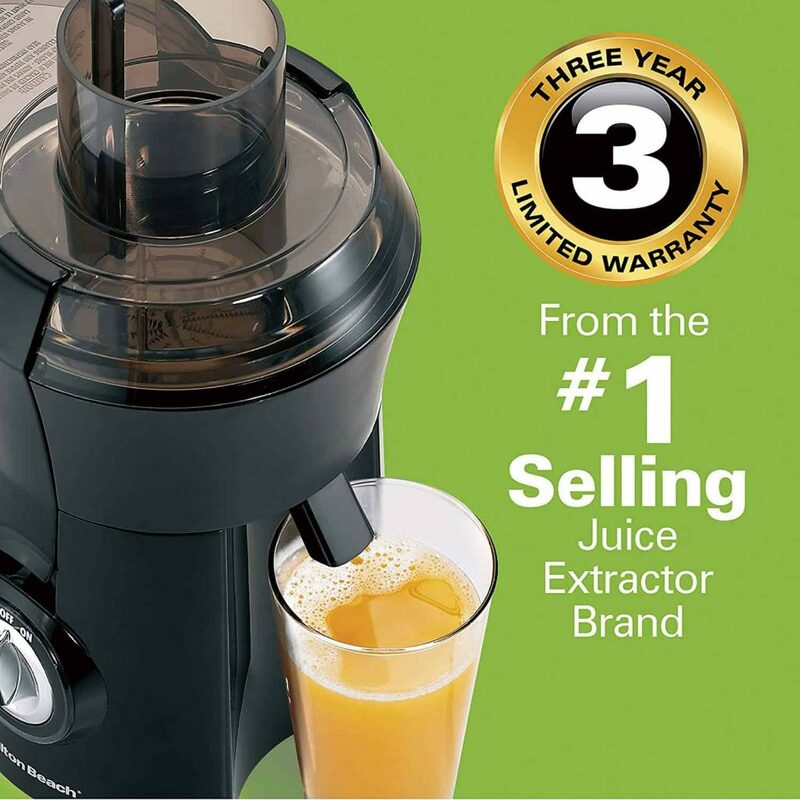 This is a really great juicer – easy to use, easy to clean, very easy to drink the juice it extracted! We’re happy to recommend this. 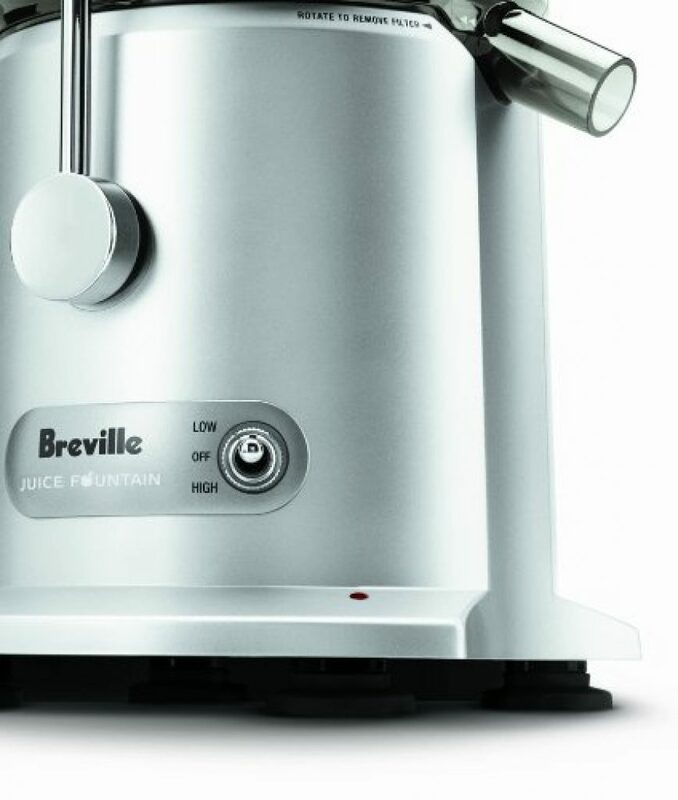 The Breville Juice Fountain is a cool looking machine. It’s durable, comfortingly sturdy, and will look great on any counter. 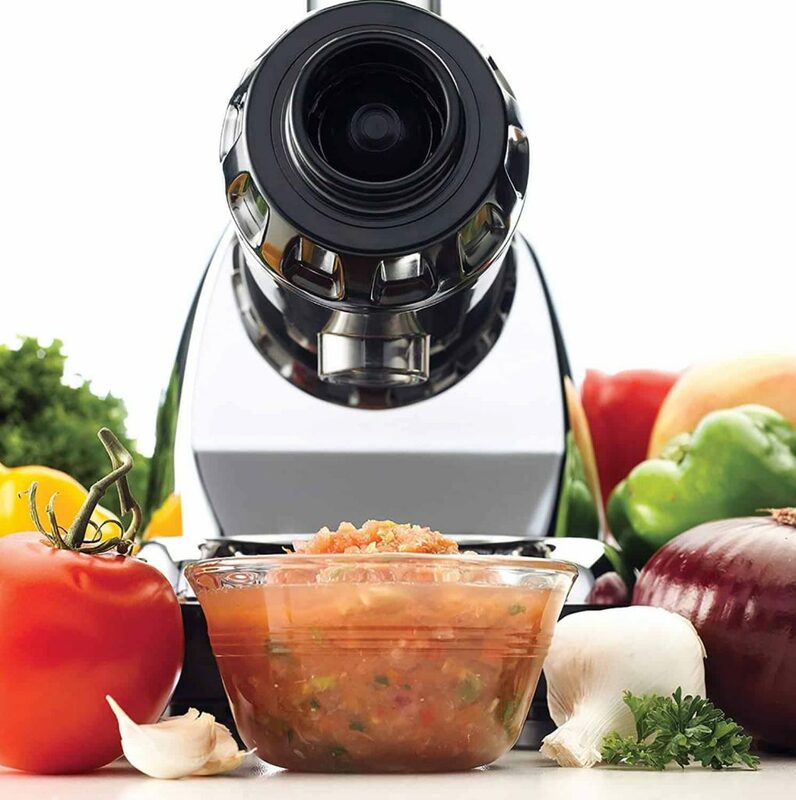 It uses centrifugal force to extract every last drop of goodness from both fruit and vegetables but doesn’t have many parts to clean after use. The instruction book is clear and concise. 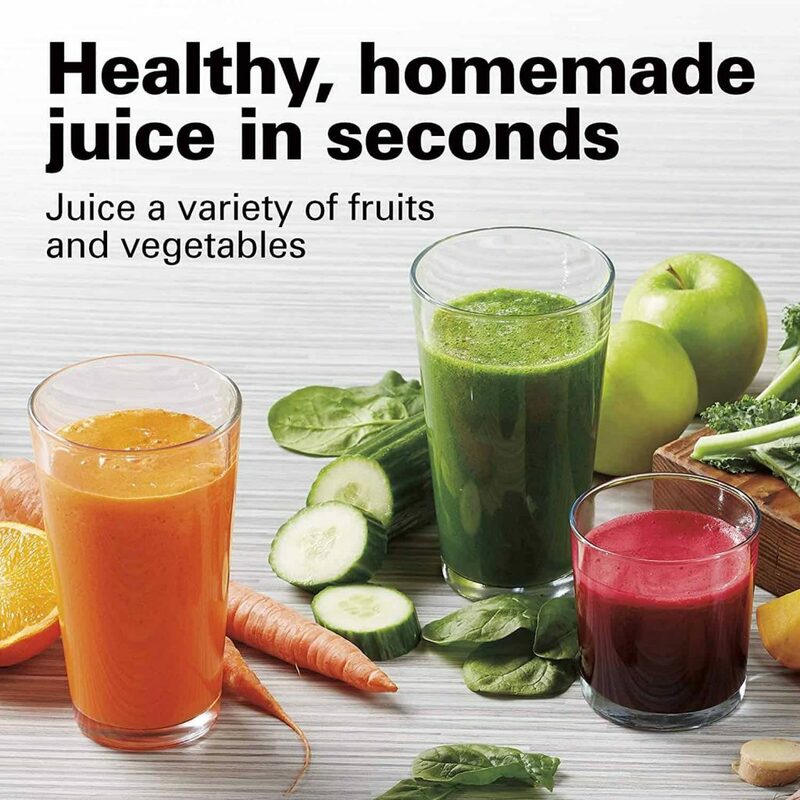 This has lots of great features to make juicing simple. 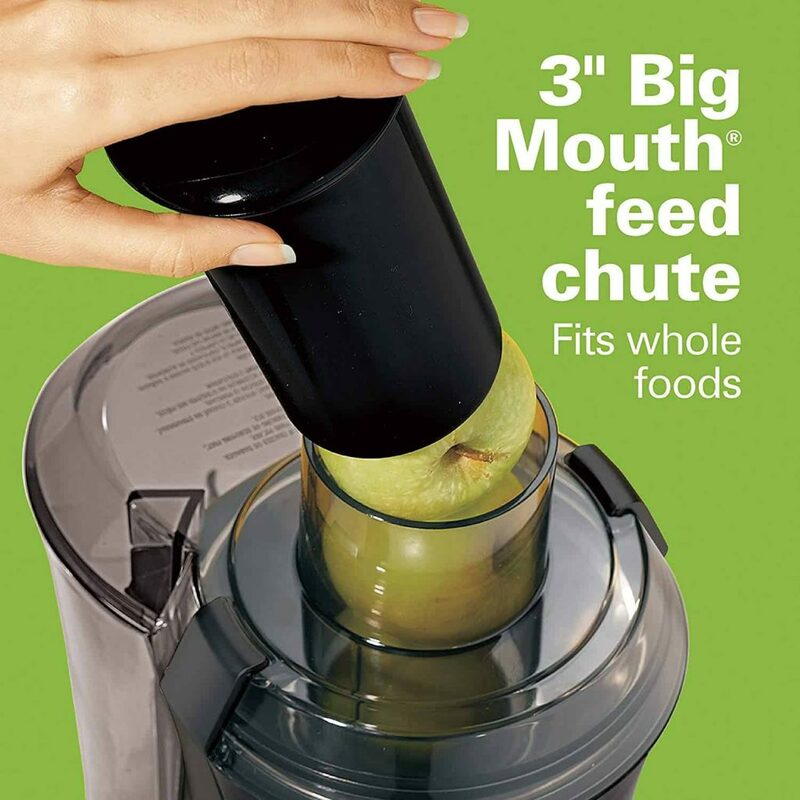 The extra wide feed tube means that many items don’t require chopping first, and the large capacity pulp collector doesn’t need frequent emptying if you’re juicing a large batch. It’s super speedy, too, and we were juicing drinks for breakfast, and cleaning the machine in under ten minutes from start to finish. All parts are machine washable too, making it even quicker to clean up. It’s a shame that the body isn’t stainless steel or chromed, but as for performance, no complaints whatsoever. 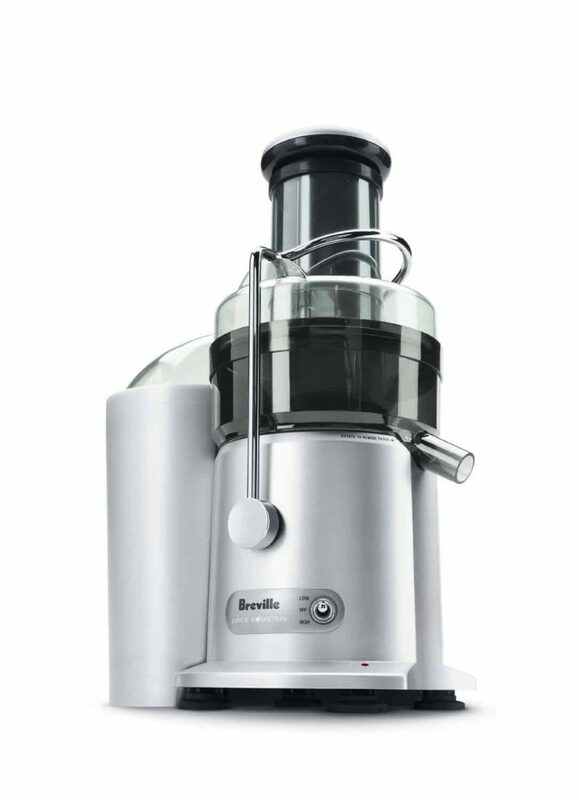 Breville have thought of everything with this juicer and marketed it at a great price. It would make a super gift for someone. 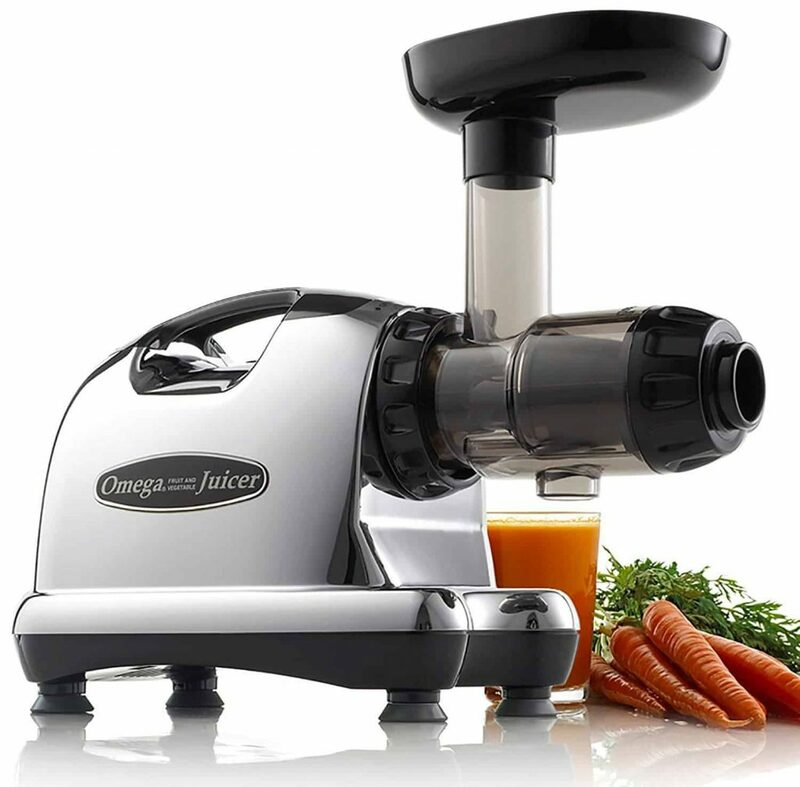 This Omega juicer is small, sturdily built, and is simple to operate. 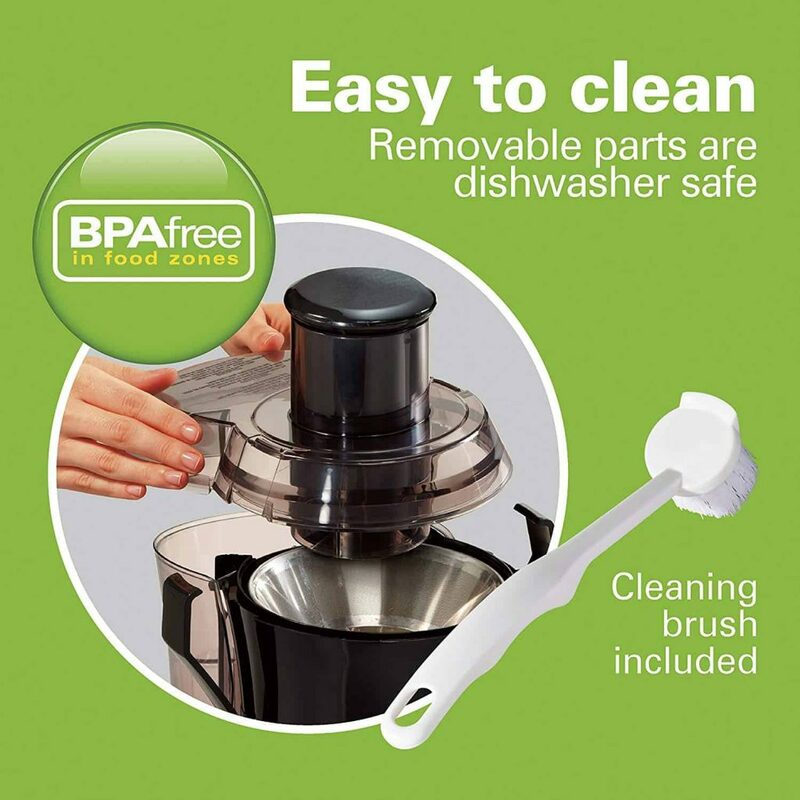 It’s also very easy to clean by hand or dishwasher. The machine can double as a pasta maker or basic food processor too. The manual covers everything you could ever wish to do with this and more with easy to understand instructions. This neat masticating juicer does it all, from extracting juice, making almond milk and peanut butter, to making sorbets and ice creams! Is there no end to its talents? The pulp that’s extracted is very dry and doesn’t look like we could get one more drop out of it. It’s coped with every item we’ve challenged it with, without the motor struggling or heating up at all. It’s not loud either – we can easily carry on a conversation over this when it is running. It’s also quick and easy to disassemble for cleaning. On top of everything you get a generous 15 year warranty on parts and performance. The plastic collecting cups can get stained from greens or beets if not washed quickly, and there are no measurements on them. However, these are minor issues for us. This is a super machine that does much more than just juice. If you drink a lot of grass juice, nut milk and love freshly ground coffee, this is for you. We love ours and use it daily. 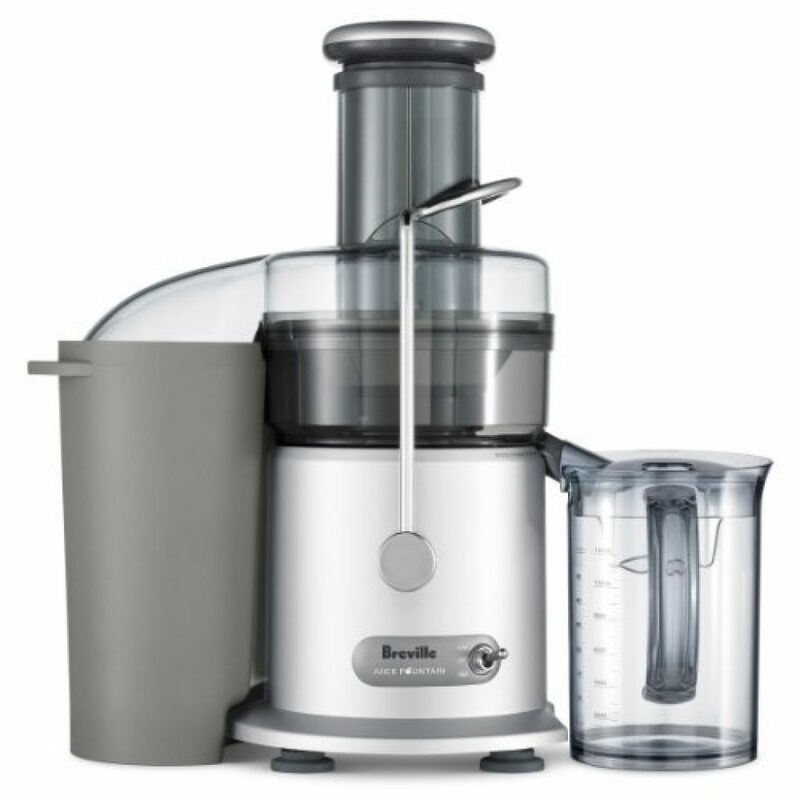 Hamilton Beach have combined a simple-to-use design with enough power to juice fruit and vegetables easily. Whilst it’s not as sleek and cool as some on the market, it’s sturdy, well made and is extremely quick to clean after use. The adjustable pulp control is an awesome idea allowing us to accurately control how much pulp we like in our juice, and it has never clogged once during our tests. 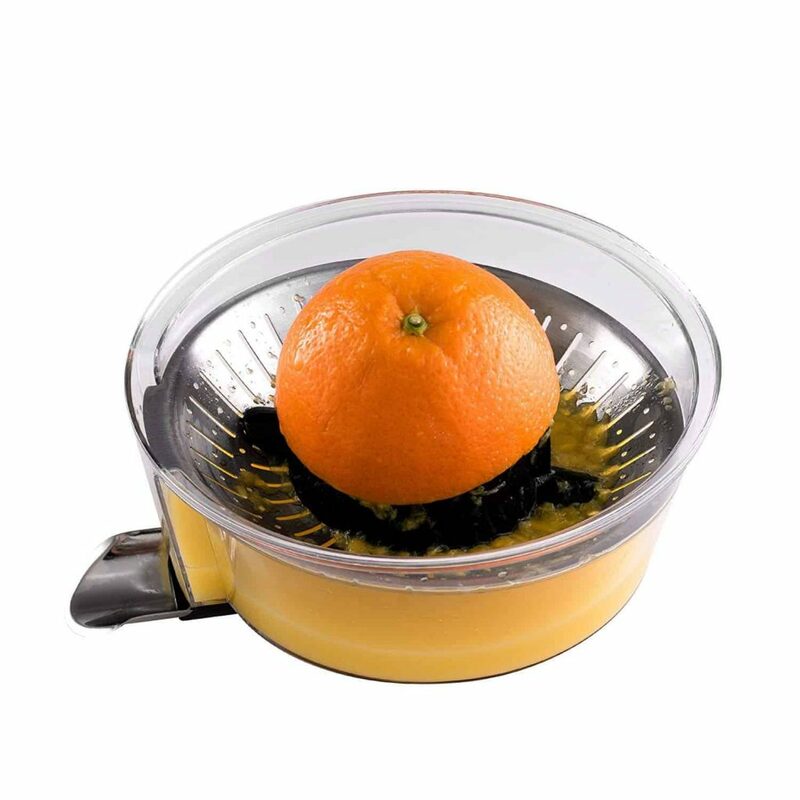 The powerful motor and auto-reversing features completely strip out oranges, lemons, grapefruits and so on, producing a generous amount of juice. 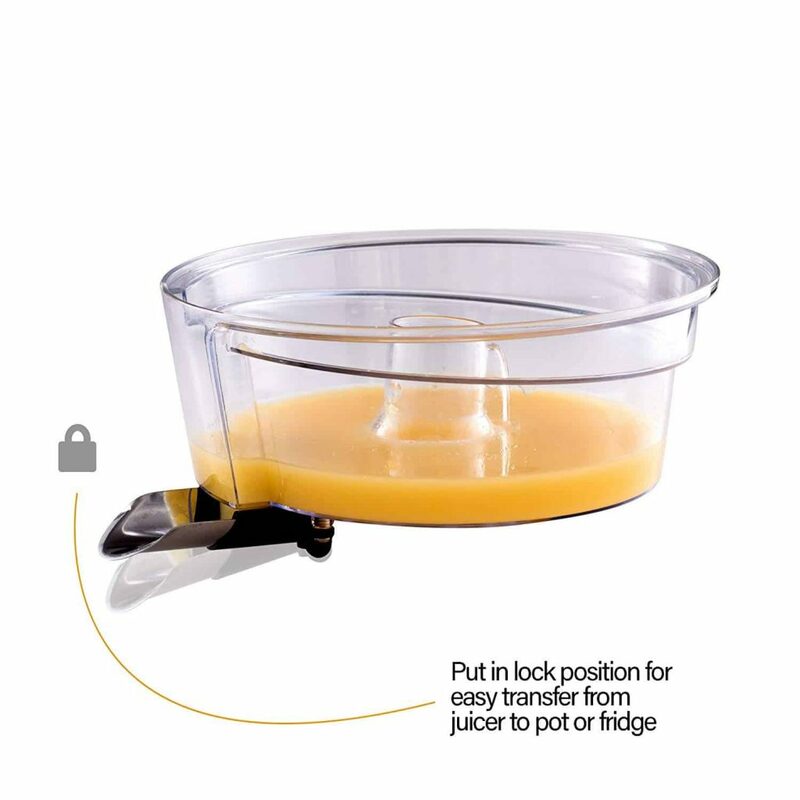 Hamilton Beach have included a handy cover to protect your juice from contaminants and allow for easy storage. They have also added a dust cover for the actual juicer; however, it’s small and light enough to pop into a cupboard when not in use. 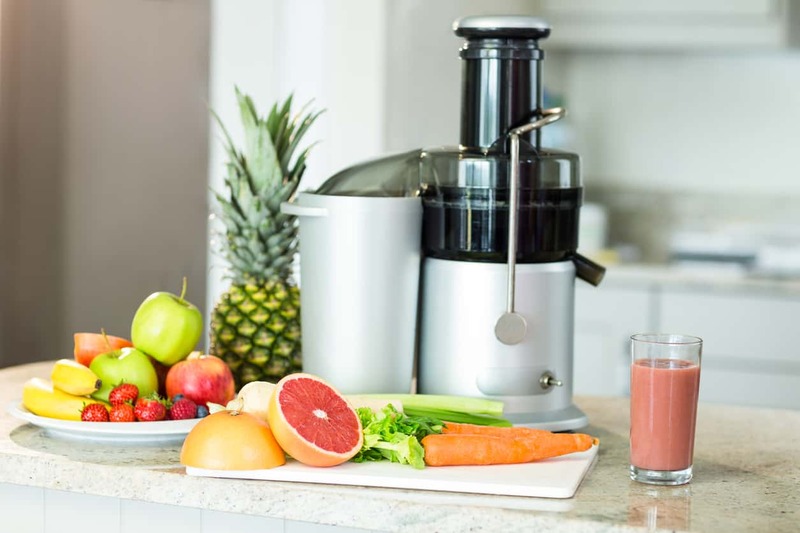 This juicer can be a little loud when juicing larger fruit, such as grapefruit, but nothing too distracting, and it certainly won’t wake up members of the house sleeping in through breakfast. If you are budget and space conscious, this is the juicer you’re looking for. It would make a great gift for someone, too. 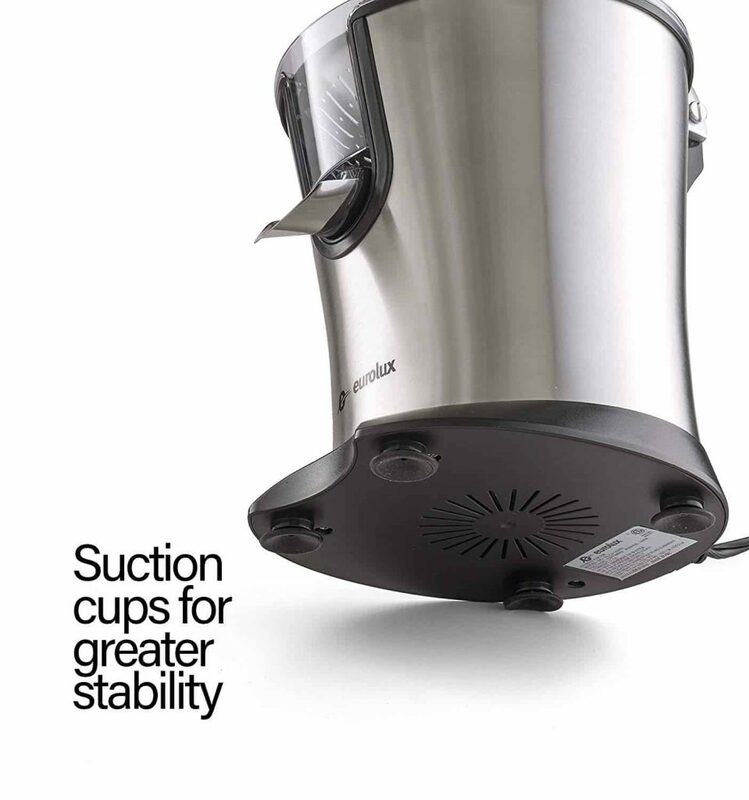 The Eurolux Juicer weighs in at 4lbs, is small enough to fit neatly into any space and being stainless steel looks good on a countertop. It’s simple to use, and only needs a light push on the handle to activate it. It is durable and easy to wipe clean, with suction cups underneath to grip any surface and hold the juicer firmly in place. The instructions are brief and concise but contain all you need to know to set up and juice. 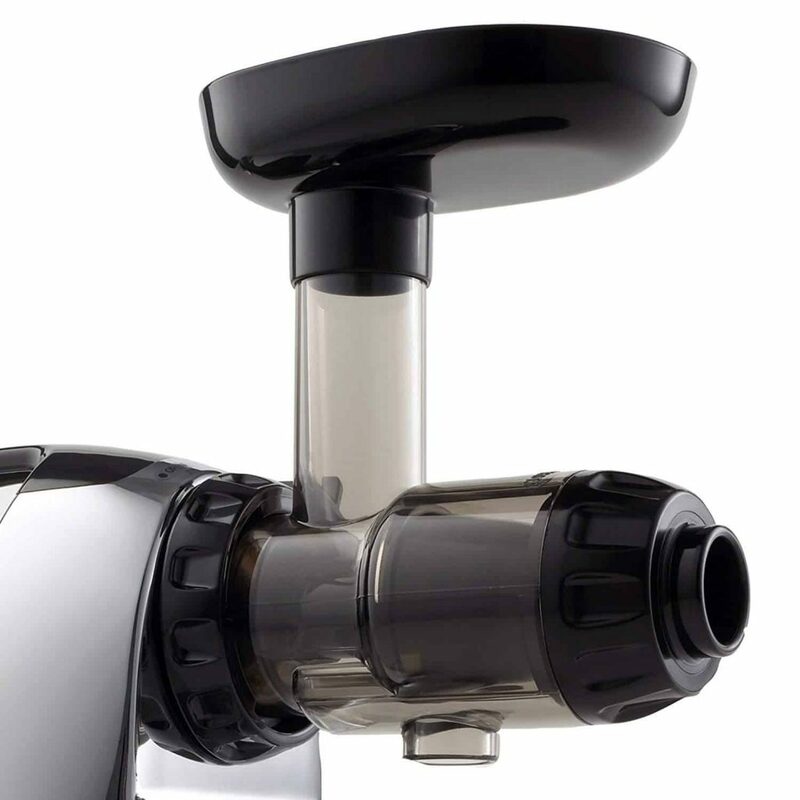 With two strainers to allow varying amounts of pulp in our juice, we can have it exactly how we like – every taste catered for, and the spout makes dispensing a breeze; since it’s high up on the juicer it can accommodate a wide variety of cups, or glasses. The dual dispensing methods are a great idea, too – we preferred using the jug, but the juice can be released via the spout into the chosen receptacle. The cone is large enough for a grapefruit while the non-slip tip at the top ensures a firm grip till all juice is extracted, and the yield produced is superb – over 9oz from a single orange. The speed of this juicer is impressive too, and it does it almost silently. It is limited to just being able to juice citrus fruits, but in our opinion, they make the best, tastiest juice anyway. This Eurolux looks great, yields a super amount of juice in seconds, and is a good price. We love it.